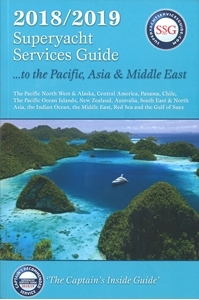 This guide contains recommended services for ports and cruising destinations from Panama, the Pacific Coast of the Americas, the Pacific Islands to New Zealand, Australia, Asia and the Middle East. Includes some well known areas and others more off the beaten track. This guide will help ‘fast track’ captains to the very best services available, with a special ‘Global Services Providers’ chapter, for those services that deliver wherever a yacht is located in the world.